The Kremlin accused the United States on Thursday of firing a broadside against President Vladimir Putin by opening a money-laundering investigation into a member of his inner circle. The probe into Gennady Timchenko, a co-founder of the Gunvor trading house who is also under sanctions over the crisis in Ukraine, is likely to increase tension between Moscow and the West in their worst standoff since the Cold War. Putin did not comment on what documents and people familiar with the matter say is an investigation by the U.S. Attorney’s Office for the Eastern District of New York into Timchenko and Gunvor involving alleged oil trading and money-laundering. Timchenko< was among the first Russians to face sanctions imposed following Russia’s annexation of Crimea from Ukraine in March and later over Moscow’s wider role in the crisis in the crisis in Ukraine. Volga Group, a holding company for Timchenko assets, said in a statement the billionaire was not aware of any investigation against him. “Mr Timchenko has not received any notification from the U.S. law enforcement bodies (including the U.S. Attorney’s office for the Eastern district of New York or the U.S. Department of Justice) on any investigation into his activities, Volga Group said in a written statement. “Mr Timchenko has always conducted his business activities in strict compliance with the law and the highest standards of business ethics. U.S. authorities are investigating transactions in which Gunvor Group, which was co-founded by Timchenko, allegedly bought oil from Russia’s Rosneft and sold it to third parties, sources said. According to a Gunvor bond offering from 2013, the U.S. Attorney’s office in Brooklyn served a subpoena on its Castor Americas unit for documents related to its oil trading activities. Prosecutors also sent subpoenas to three Castor employees and one employee of Gunvor, the offering circular said. Relations between Moscow and Washington have deteriorated sharply since a Russia-backed president was ousted in Kiev in February after street protests over his decision to spurn a trade and political pact with the European Union. 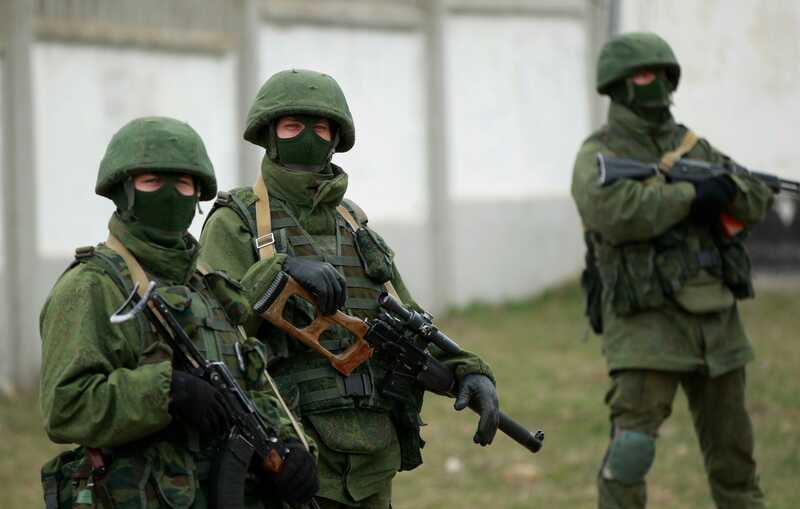 REUTERS/David MdzinarishviliMilitary personnel, believed to be Russian servicemen, stand guard outside the territory of a Ukrainian military unit in the village of Perevalnoye outside Simferopol on March 4, 2014. 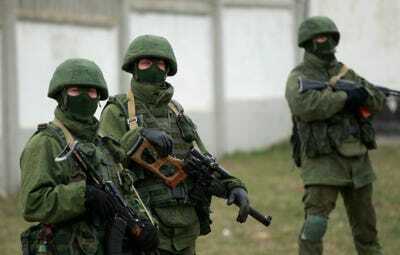 Russia accuses the West of being behind what it calls an anti-constitutional coup in Kiev and denies sending weapons and soldiers to support rebels who rose up in eastern Ukraine against Kiev’s rule in mid-April. Tensions remain high, with a ceasefire agreement in Ukraine in tatters following elections of separatist leaders in the east which Moscow has refused to condemn. Hours after Washington imposed sanctions on Putin associates in March, Swiss-based Gunvor announced that Timchenko had sold his stake in the firm to Chief Executive Officer Torbjorn Tornqvist earlier that week. 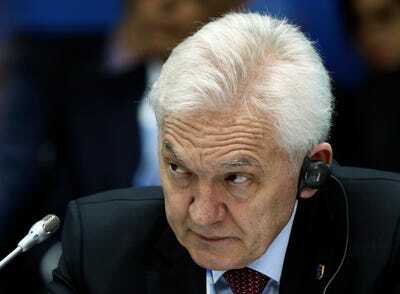 “Nevertheless Mr Timchenko is confident that Gunvor has always been fully compliant with applicable legal requirements, as is confirmed, in particular, by the long-standing relationships between Gunvor and many of the world’s major financial institutions that abide to the strictest compliance and anti-money laundering standards,” Volga Group said. The report said the transactions predated U.S. sanctions against Russia introduced in March on Timchenko and others over the Ukraine crisis. Timchenko is also co-owner of Russia’s No. 2 gas producer Novatek. Transfers of funds related to the transactions could constitute illegal money laundering if the funds were found to have originated from illicit activity such as, for example, irregular sales of state assets such as oil, the newspaper said. The newspaper cited one source as saying the probe was also examining whether any of Putin’s personal wealth was connected to allegedly illicit funds. The U.S. Treasury has said Putin has investments in Gunvor and may have access to Gunvor’s funds. Both the company and the Kremlin have strenuously denied those allegations. “When it comes to President Putin, he does not and never has had any ownership, beneficial or otherwise in Gunvor. He is not a beneficiary of Gunvor or its activities, directly or indirectly,” Gunvor said on Thursday.